Everyone I represent in family law litigation in both Georgia and Alabama wants to know the answer to one primary question: When will this divorce be over? Or put another way: What’s taking so long? Divorces and custody modifications are emotionally exhausting and financially draining. It’s understandable that clients want the uncertainty and animosity to come to an end as soon as possible. The Filing of the Divorce – In this initial phase, clients retain an attorney, and the documents needed to file a divorce are drafted. Clients will produce proof of income and personal expenses. A financial affidavit will be completed and filed with the court. All of the necessary documents will then be served on the client’s spouse and (if needed) a court date will be scheduled. Temporary Litigation – Judges understand that the early days of a divorce can be chaotic. How will we share the children? How much child support should be paid? Who’s going to live in the home? Who will pay the mortgage? Who gets to use which automobile? Consequently, every jurisdiction I practice in has a process for scheduling a temporary hearing. Georgia refers to such hearings as a Rule Nisi. Alabama refers to them as Pendente Lite hearings. The purpose of both is the same: To bring some order out of the chaos, so that the parties know their rights and obligations while the divorce is pending. In Georgia, a temporary hearing takes place about four weeks after filing a divorce. In Alabama, a motion requesting a hearing is filed with the divorce, and the assigned judge issues a court date to the parties. Discovery – During and after the temporary litigation, the law allows a period of time for the parties to build their cases and learn about the evidence the other side intends to present. Documents like bank statements, cell phone records, tax returns, and pay stubs can be subpoenaed. Depositions can be taken in front of court reporters to obtain a preview of the testimony that witnesses will present later in court. Experts such as appraisers, private investigators and accountants can be consulted to collect and analyze evidence and financial data. It is not uncommon for a court to allow up to six months to complete this process. Mediation – Most jurisdictions have a requirement that the parties to a divorce attend a mediation session before they are given a final trial date with a court. A mediation is a settlement meeting where the parties attempt to agree on a resolution of all the issues. 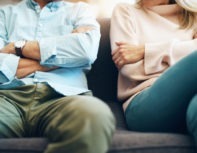 An experienced divorce litigator or former judge often serves as the mediator, and that individual facilitates the meeting and focuses the parties on the issues rather than the emotional animosity that may exist between them. If a case settles at mediation, then the divorce is basically at an end. Final Hearing – If the parties are unable to settle their disputes at mediation, then the case is placed on a trial docket. Depending on the jurisdiction, it can take months to work your way to the top of the docket and receive your final day in court. At a recent docket call in Muscogee County, there were over 100 cases on the docket that resulted in more than 50 of them being set for trial during a one-week term of court. Needless to say, a lot of those cases will go untried and will appear on that court’s next trial docket a few months from now. But, eventually, a final hearing will be held, and all issues will receive a final ruling from a judge. So, how long does all this take? It depends. Isn’t that a good lawyer answer? Unfortunately, it’s the truth. I tell my clients to expect contested litigation to last from 12 to 18 months if the case does not settle along the way. Certainly, I’ve had cases that are resolved in less than a year, and on very rare occasions, I’ve had cases that were pending longer than 18 months. My advice is to be flexible and make a good faith effort to settle your dispute. If not, be patient. You will eventually get your day in court. Read more about the general steps in divorce here. Contact us at Phillips & Sellers to get more information.